The Cobblers Last in Madame Brussels Lane, Melbourne, was the second of The Cobblers Last shops that Simon worked on. It was a 'hard and fast project' as the timeline to opening was very tight. The brief was to construct a fit-out that reflected the timelessness of the original shop, while fitting seamlessly into the fast-paced urban surrounds. Simon worked with the owner to construct the fit-out over a weekend after developing ideas via email and phone. This build was constructed out of reclaimed materials to reflect the hands-on workmanship that takes place in this space. 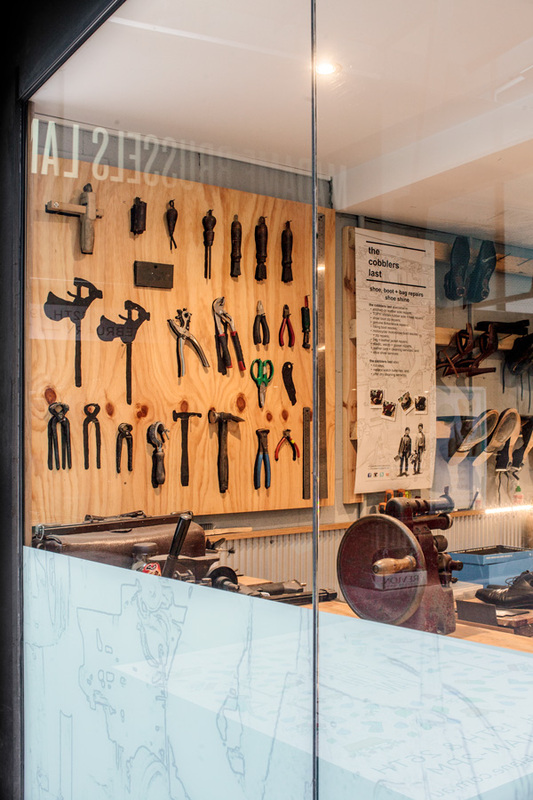 The result is a fit-out befitting this modern cobbler who has a long history to celebrate.